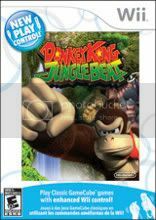 Donkey Kong: Jungle Beat is the latest title in the New Play Control series for the Nintendo Wii, bringing a Gamecube classic back for a new generation of gamers, and numerous other people who didn’t get it with its original release. How do the new controls and additions fair? Well you’ll just have to read on to find out.